Ships Free USPS/UPS To U.S.
Don't let shoulder pain slow you down. 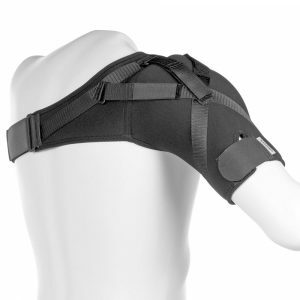 The shoulder support lets you continue to be active in athletics as well as every day activities, where bracing for the shoulder is not required for immobilization. 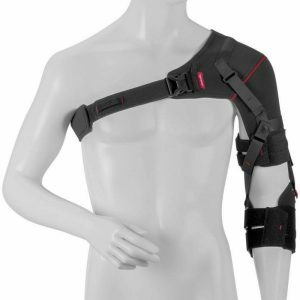 During the stage of rehab where you can start being active, many of us are anxious to return to our tennis game or to get back out on the golf course and the this brace will get you back in your game. 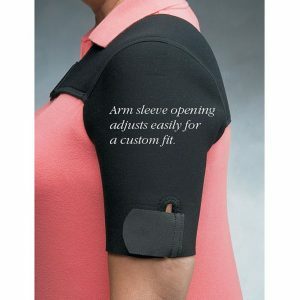 The shoulder support allows protection as well as heat & support. Provides warmth and flexibility while playing sports or other activities. Perhaps you are recovering from a minor shoulder muscle sprain and are doing the exercises for shoulder problems. 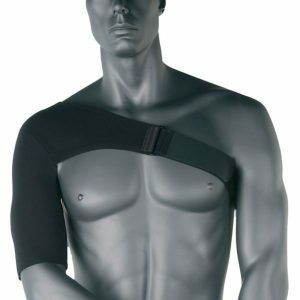 When you are ready to resume daily activities or get back to sports activities, this is a brace with quality as well as comfort. 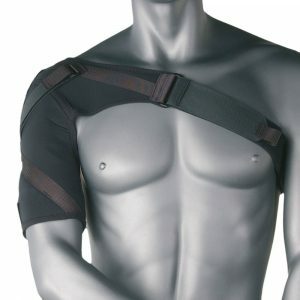 A unique and very high quality shoulder brace uses space age materials to achieve the most comfortable support for shoulder problems available. 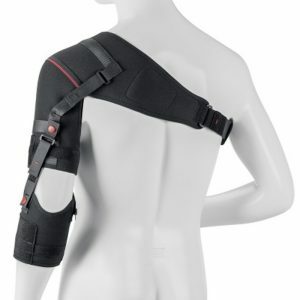 When you need a support for serious conditions in comfort that you can wear anywhere for rehabilitation and relief, this brace is one of the best at providing adjustable motion control and anatomically designed support without immobilization.